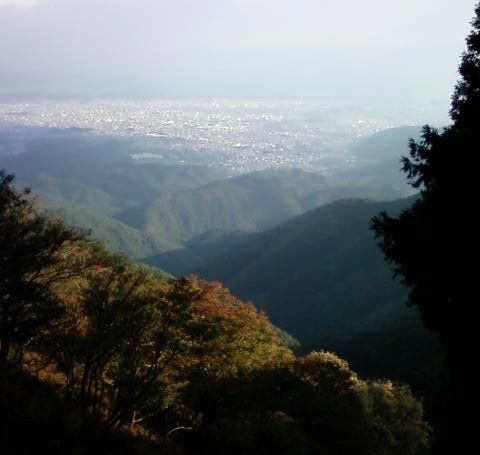 Mt Atago (愛宕山) is Kyoto’s tallest mountain (924m), standing around 70 metres taller than its rival Hieizan (比叡山, 848m) on the far side of the city. 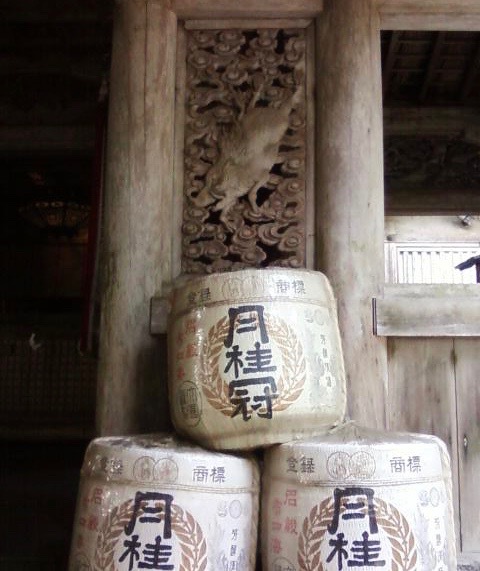 Local legend tells us that the two were originally of equal height, but after they became embroiled in a contest over the affections of one of the fair maiden river spirits in the valley between them, Hiei gave Atago an almighty smack on the top of his skull; the swelling produced by this can still be clearly seen in the form of the prominent bump on the mountain’s summit. 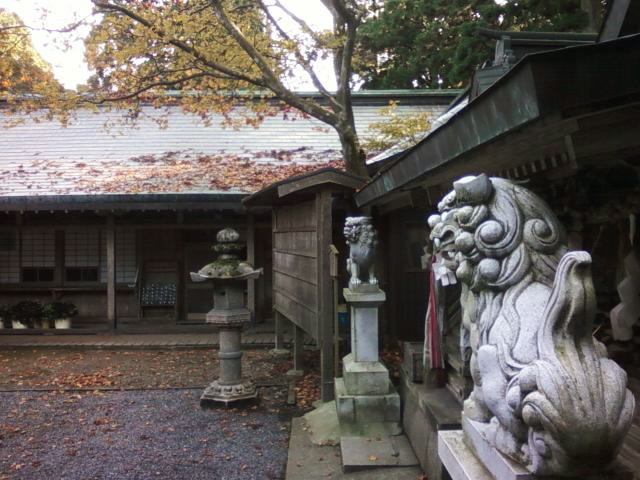 Although Atago is taller, Hiei is the more significant of the two culturally speaking, as it guards the northeastern approach to the city – in Chinese geomancy (Feng Shui), evil spirits are said to approach from the northeast; thus, the existence of Hiei was one of the key reasons that the ancient capital was built in this valley, with one of Japan’s most important temples (Enryaku-ji) established on its summit at that time. However, Atago also has a vital role in protecting the city – not from evil spirits, but from the ravages of fire. Traditional wooden architecture and fire are obviously a bad mix (especially when you consider all those people cooking at close quarters, especially in the event of an earthquake…), and like most old Japanese cities Kyoto has burned to the ground many times during its long history – sometimes these fires followed major earthquakes, sometimes they were intentionally lit in times of war, and sometimes they were simply accidental. 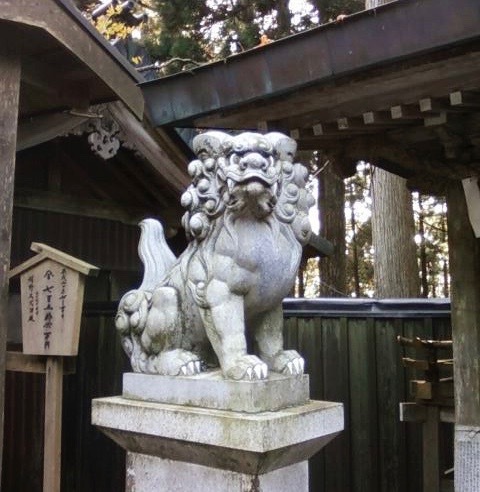 The resident kami of Mt Atago is a fire spirit, and so it was seen to be of major importance for Kyoto’s residents to pay due respect every year to protect the city; failure to do so could result in a major blaze. Although the dangers of fire are not as great as they once were due to the largely concrete architecture and well-developed fire safety of modern Japan, the annual fire festival on Mt Atago is still a big deal. It’s held overnight on the night of July 31st every year, with pilgrims ascending in the hours of darkness (the way is lit with hanging paper lanterns, and participants in the procession bear flaming torches from the village to the shrine on the summit); while I’ve never seen this for myself, I’m sure it would be a most interesting time to do this hike! 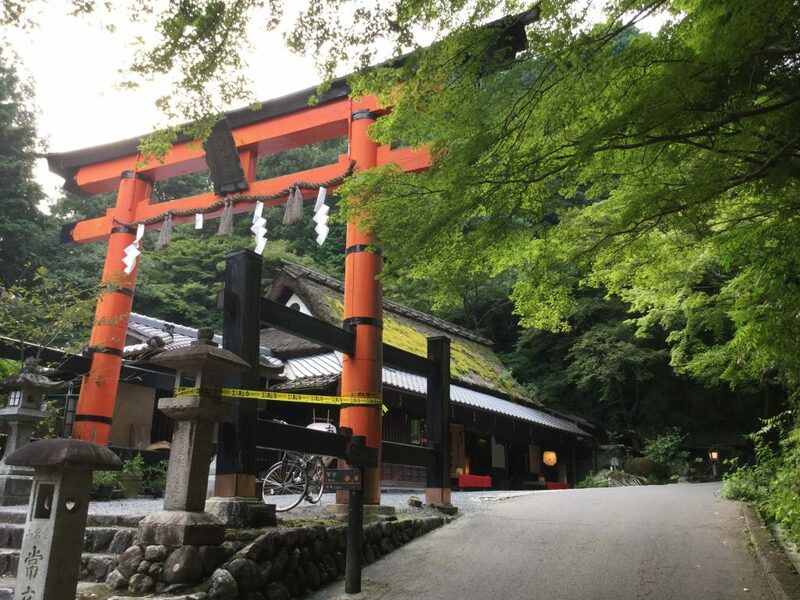 Once you’ve taken in the shrine and the views, had some lunch, and are ready to go down, rather than descending the way you came up on the main Mt Atago hiking trail you can instead take an alternative trail down via Tsukinowadera (月輪寺, ‘Full Moon Temple’), a spooky little temple halfway down the mountainside which feels abandoned but isn’t. 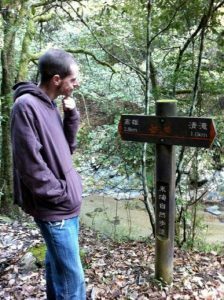 This trail descends a little to the east of the main trail and is much narrower – you might have to look around a bit at the top to find it (look out for signs reading 月輪寺, or perhaps ask any shrine staff you can find). 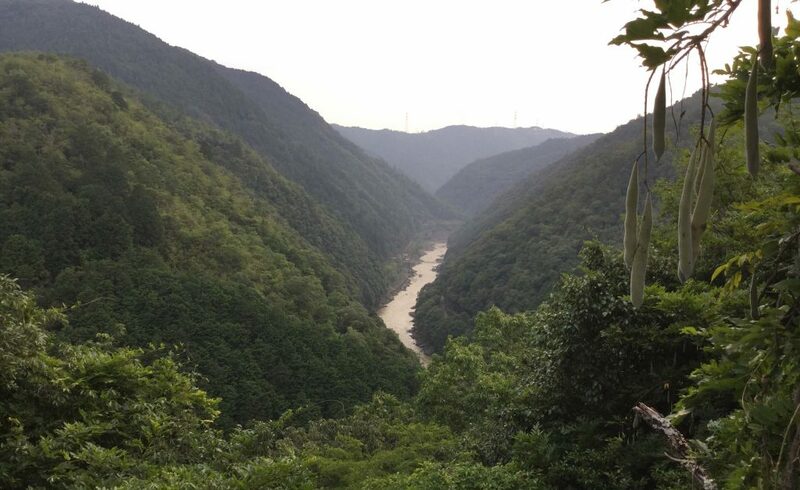 It brings you down to connect with the Kyoto Isshu Trail Kitayama Nishibu course – a right turn will soon take you back to Kiyotaki (where the main Mt Atago hiking trail starts from – see below) or you can turn left to hike to the small village of Takao (around an hour away). 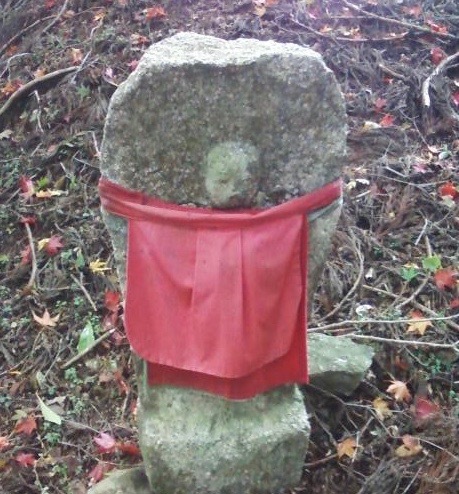 Speaking of which, Mt Atago can also be climbed as a side quest while hiking from Takao to Kiyotaki or when doing the Kyoto Isshu Trail’s Kitayama Nishibu course. 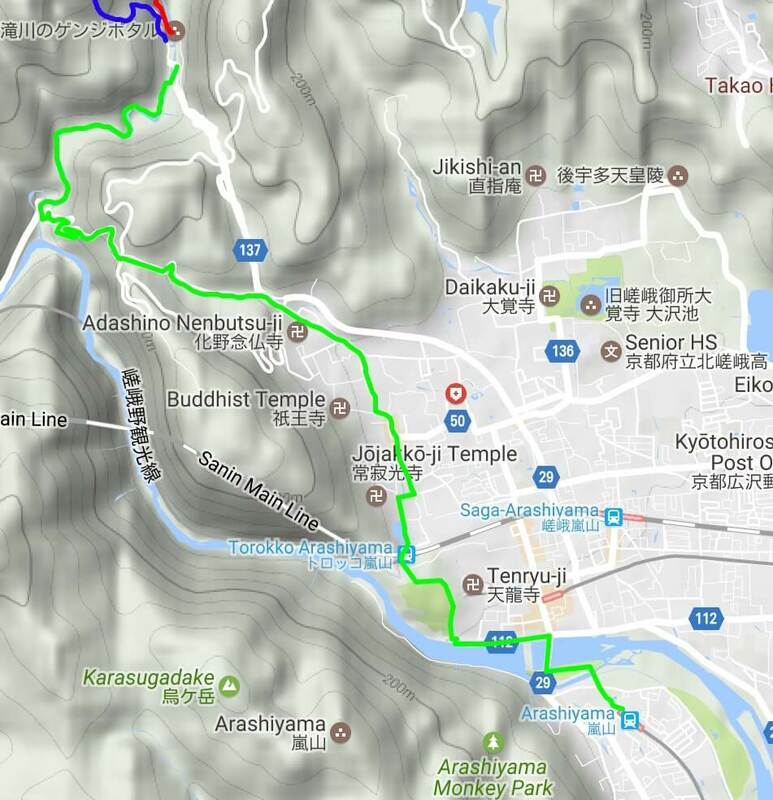 When I climbed it, however, I hadn’t yet been in Kyoto for long and wasn’t aware of either the Isshu Trail or Takao, and so I tackled Mt Atago by starting and finishing from Arashiyama without having any idea of how to get from Arashiyama to the mountain. 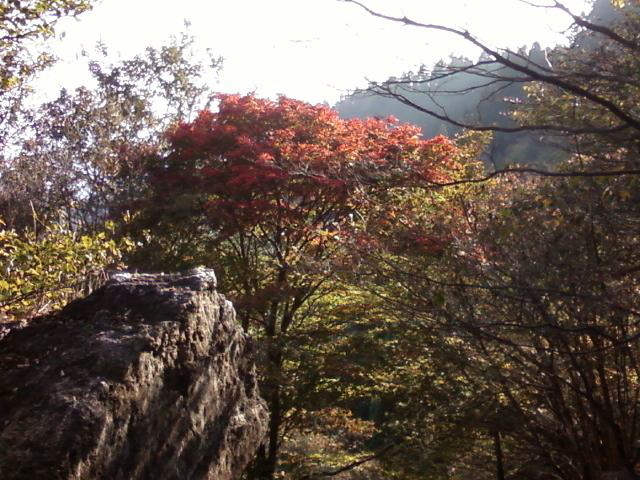 I just took the train to JR Saga-Arashiyama station, got a bearing on where the mountain was, and walked towards it. While this did work, it wasn’t the most interesting approach, being mostly along roads. I also ended up having to go up and over a hill which the road tunnelled through, with no idea if there was a sensible route on the other side. 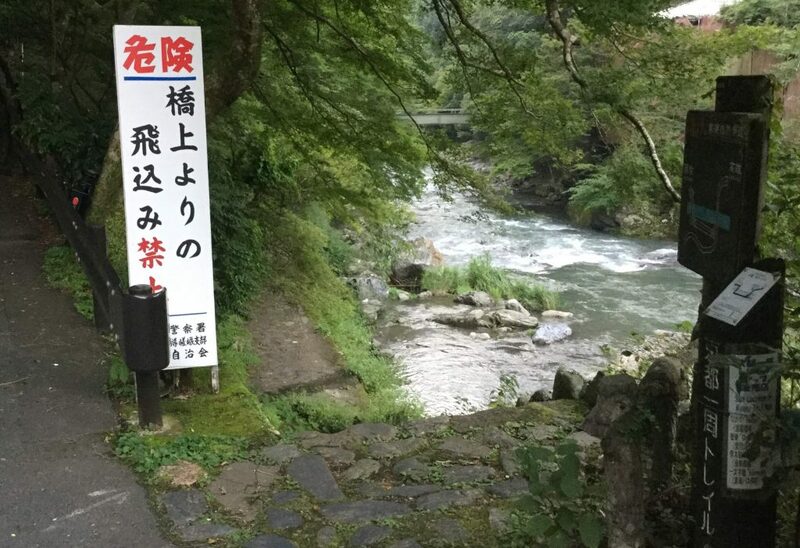 As it turned out, on the other side was the village of Kiyotaki and the start of the main Mt Atago hiking trail. Again, while this did work, it isn’t remotely the best way to reach Kiyotaki. 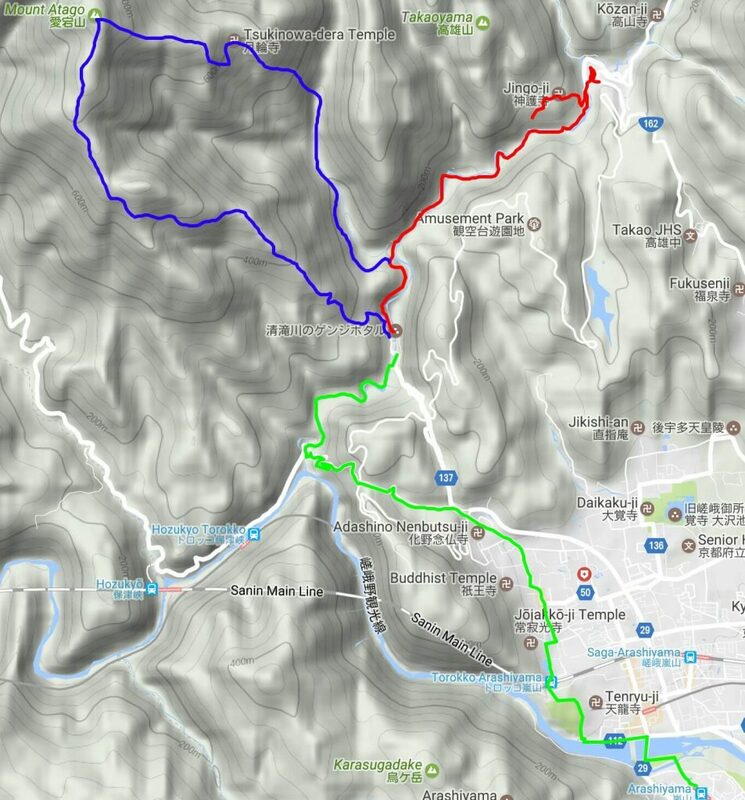 So, if climbing Mt Atago is your goal, for the most interesting route I’d suggest starting your hike from Takao (after a spot of bad-karma-disc-throwing at Jingo-ji temple), following the trail towards Kiyotaki and diverting up Atago, before descending to Kiyotaki and continuing on to Arashiyama either by foot or on the bus, as described here, or alternatively walk along the river all the way to the enigmatic Hozukyo Station. 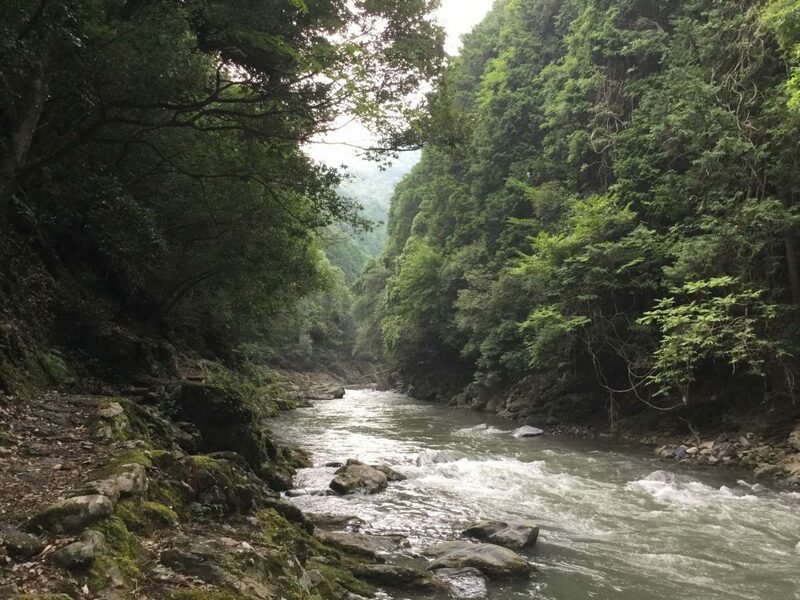 If, however, you don’t have time to include Takao, or you’re already staying in Arashiyama and just want to climb up Mt Atago from there and then head back, there are three good ways to get from Arashiyama to Kiyotaki; the scenic route walking along the Isshu Trail Nishiyama course, the path along the river from the fantastic Hozukyo Station, or the quick & easy way on the bus. 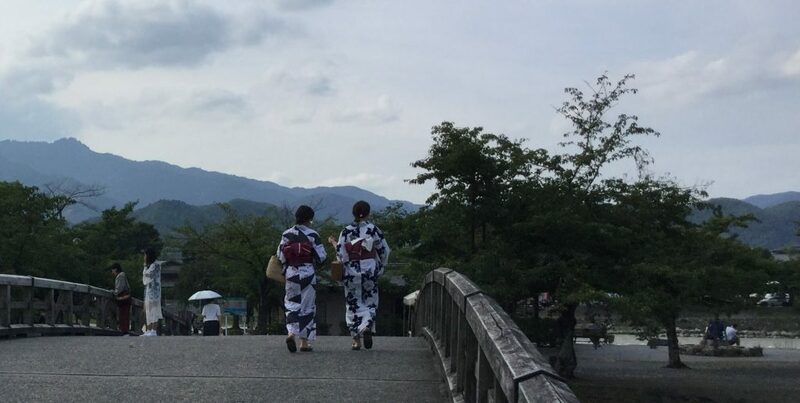 For buses to Kiyotaki from Arashiyama, you can take number 64 or number 94. 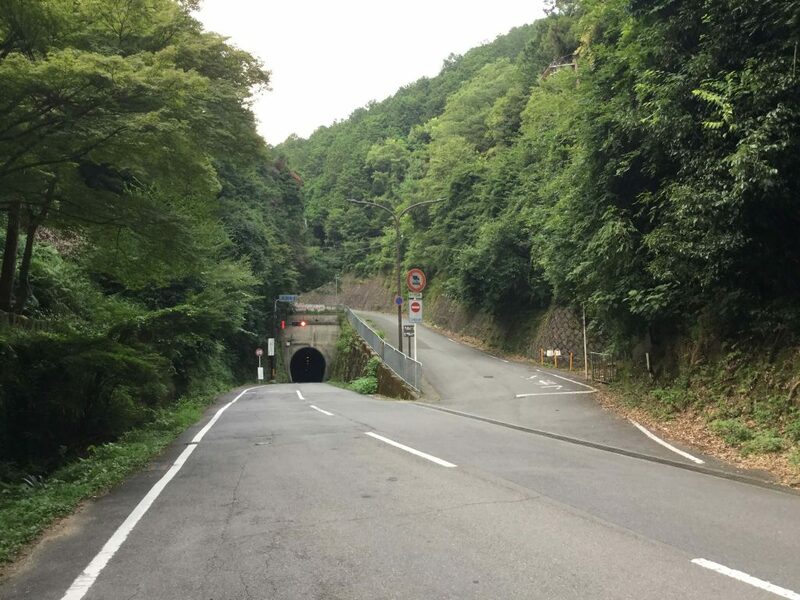 There are three train lines by which you can reach Arashiyama; Hankyu, JR, and Keifuku (as always in Japan, check Hyperdia for trains; there’s a good explanation of how to use it here). 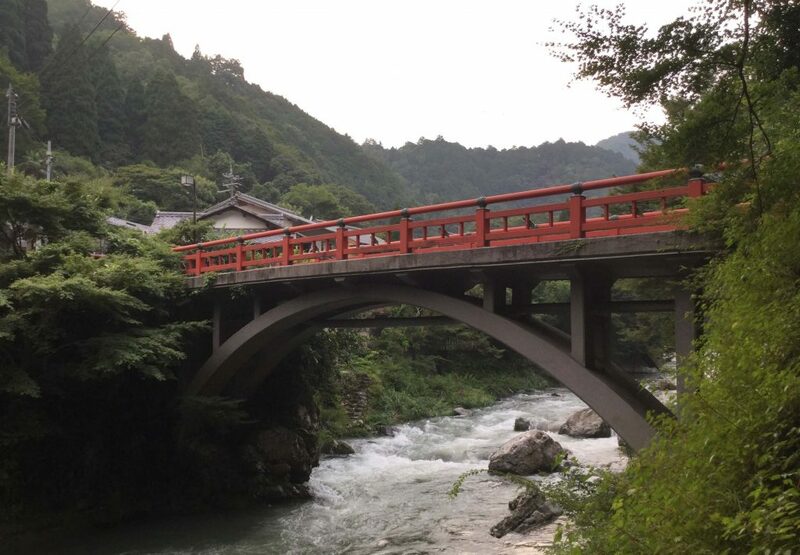 There are bus stops immediately outside the Hankyu and Keifuku stations (for the latter, you should cross the street for a northbound bus), but if you arrive to JR Saga-Arashiyama station you’ll need to walk for ten minutes or so to Keifuku Arashiyama station. The bus takes about 20 minutes and costs 230 yen (at time of writing). 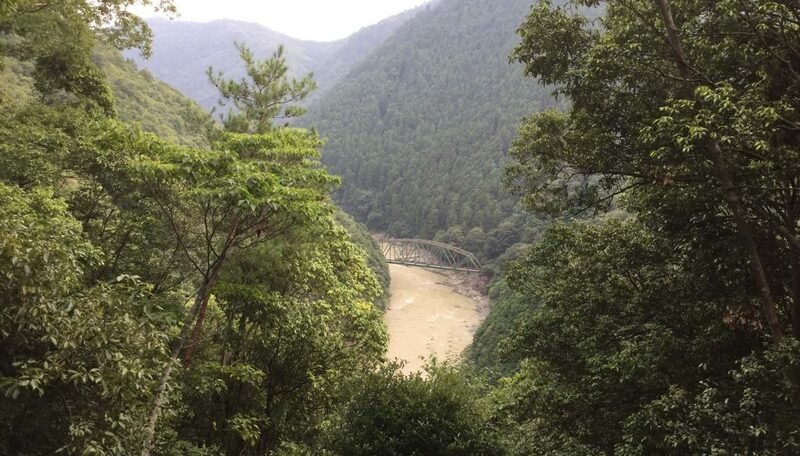 If you want to skip the bus and take the scenic route, I’d recommend starting from Hankyu Arashiyama station as it means you can take a stroll over the famous Togetsukyo Bridge, and also from the Hankyu station it’s very easy to pick up the Kyoto Isshu Trail for navigational purposes. 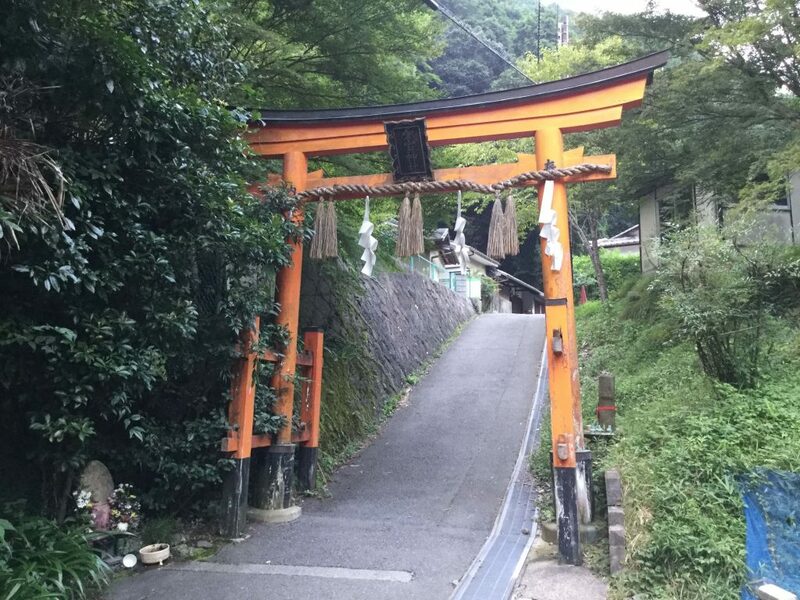 Once you reach Kiyotaki cross the bridge to walk through the village, and the mountain trail is easy to find as it’s marked by a red torii gate and a warning sign which says you need 5 hours to hike up & down. 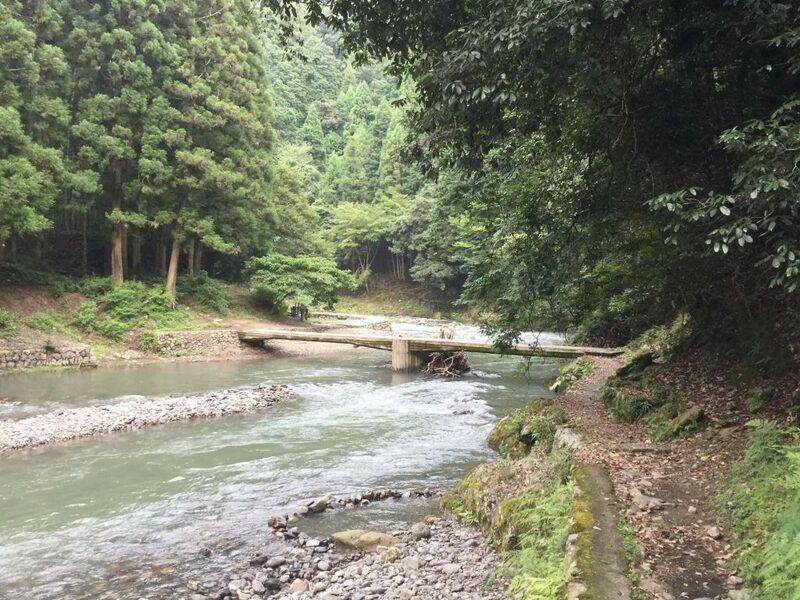 This is pretty conservative – I only took half that (despite the longer descent via Tsukinowadera), though to be fair I was walking at a very brisk pace because I’d started quite late in the day and I didn’t want to run out of light! 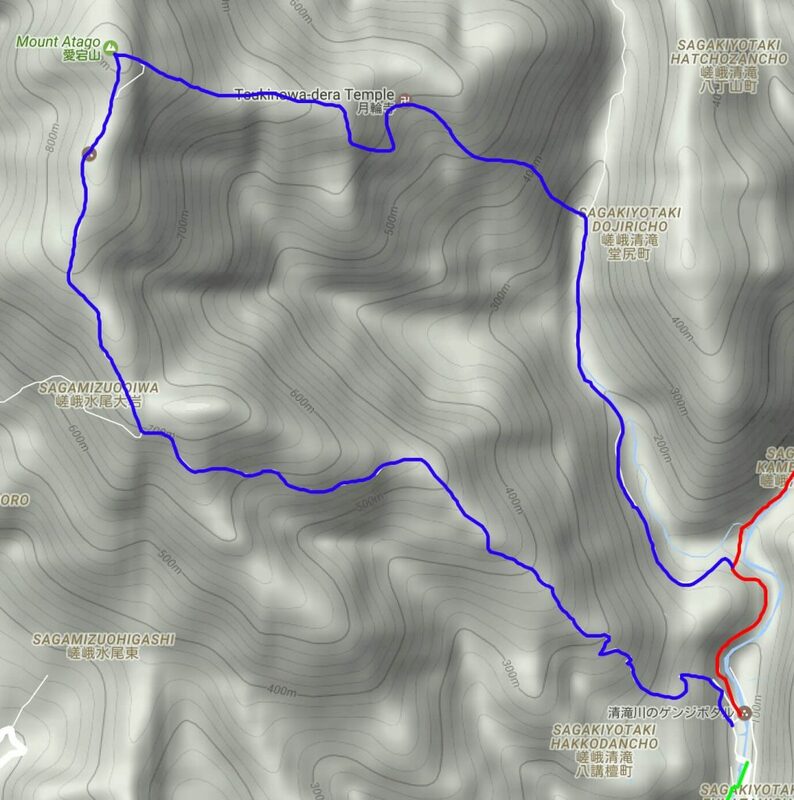 Have you climbed Mt Atago, or do you have any questions? Leave a comment below and I’ll get back to you. 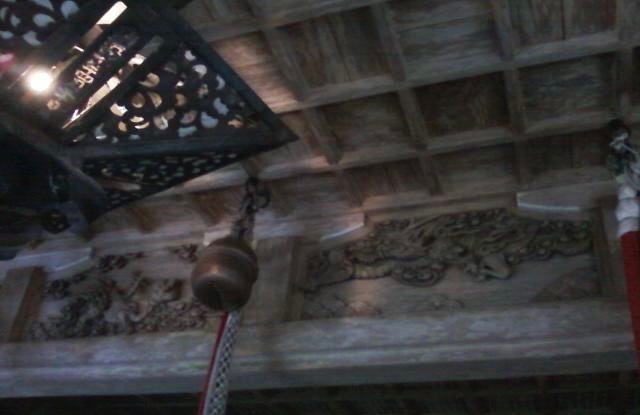 Search accommodation in Kyoto here. 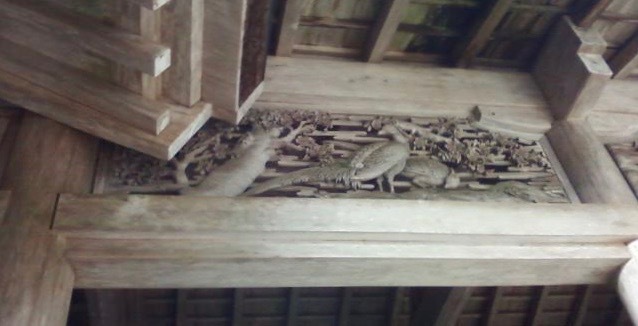 This page contains affiliate links i.e. if you use the links to World Nomads or Agoda and purchase insurance or accommodation, 4corners7seas will receive a commission from them – this commission comes out of their profit margin at no extra cost to you. 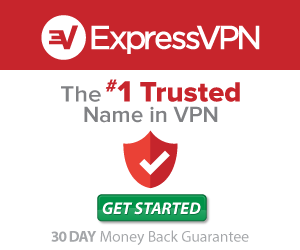 I’m recommending them because I know and trust them from personal use; thank you in advance should you choose to use my links!